In 2012, a TSA agent convicted of stealing more than $800,000 worth of goods from travelers said this type of theft is “commonplace” among airport security. Almost 400 TSA officers have been fired for stealing from passengers since 2003. Unfortunately most people learn about thieving baggage handlers when it's too late to do anything about their lost items. 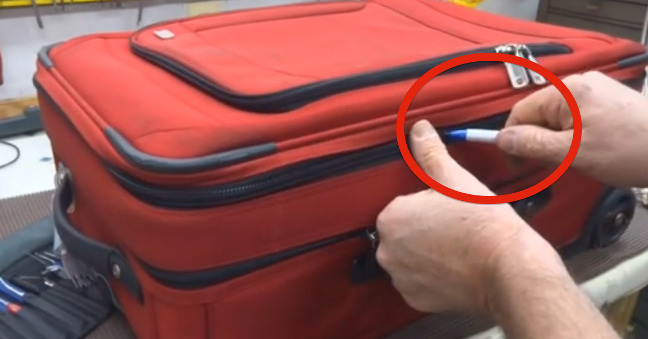 Watch the following video to learn how thieves can break into your luggage, even if you try to protect yourself with a deadbolt lock! This information is so important to SHARE — help your friends protect themselves on the road! Related: The Ultimate Guide To Travelling When You're Broke!